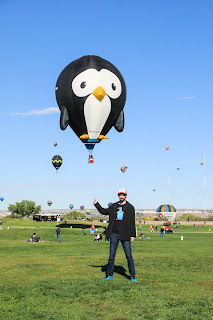 This last weekend we went on a super amazing road trip to New Mexico for the Albuquerque Balloon Fiesta! First, we went to the Grand Canyon and it was just as majestic as I remembered it. You never get used to the wonder of the Grand Canyon. It was nice just to dream together looking down at the canyon as if we were looking up at the stars. It's so nice to have someone you love spending time with. 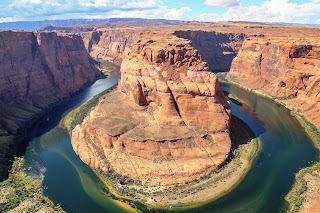 On our way out of Grand Canyon National Park we stopped by Horseshoe Bend and snapped this photo. Even though the Grand Canyon is amazing it was not the main event of this trip. But before we got to Albuquerque for the largest balloon show on earth we had to make one more stop. 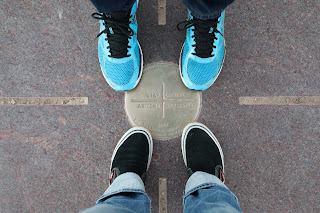 We were able to put our feet down on the Four Corners monument! So many bucket list items were checked off on this trip it's unreal! 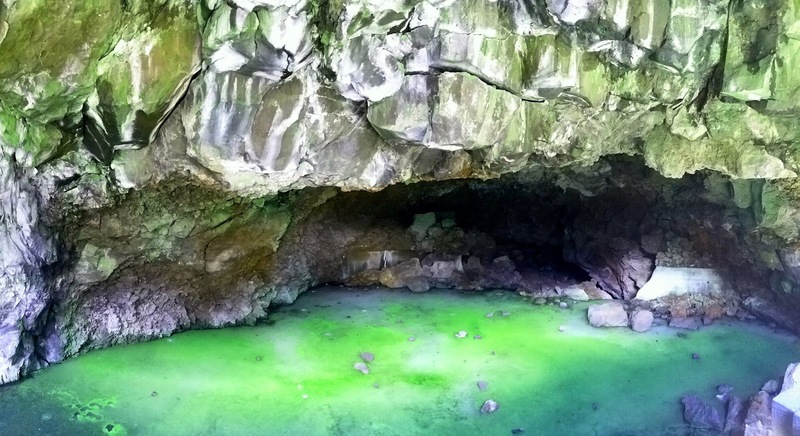 Exploring with Angela is really like the John Denver song - You Fill Up My Senses. So relaxing and always just what I need. Living life is nothing without the feelings associated with each thing you do. Each emotional state or reaction the world gives can be magical if you take the time to truly feel each thing you do. Simply being with Angela magnifies these experiences. Every adventure we go on seams to turn out perfectly. 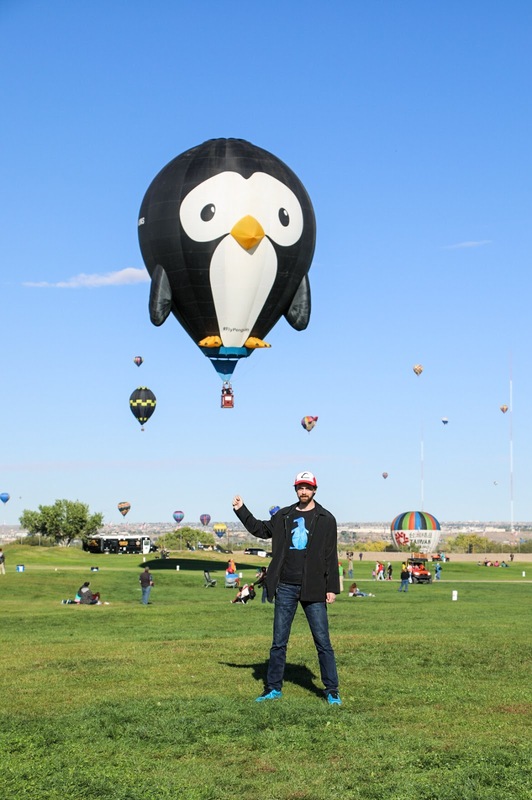 I mean just look at this picture of me "holding" a penguin balloon. Balloons of all shapes and sizes were everyone, the chances of this one coming down at just the right time to get this photo... It's just as magical and unbelievable as everything having to do with Angela. 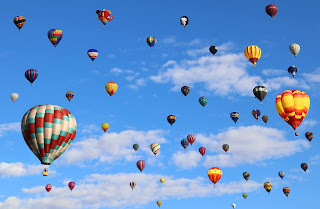 We arrived at the balloon fiesta at 4:30am Saturday the first and watched the Mass Ascension. We watched as the balloons glowing from the fire that lifts them got closer to the clouds that were illuminated by shades of every color of the sun rise. The pure scope and magnitude of this experience overwhelms the senses. And then before we knew it the sun was up and the balloons filed the entirety of the sky. Even this photo Angela took cannot do this experience justice. I hope we can go back soon. But more than that I can't wait for our next adventure together! 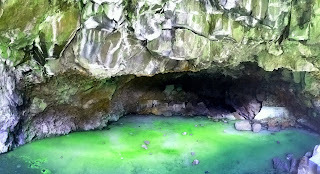 Oh and I almost forgot, we got to go in an ice cave too!